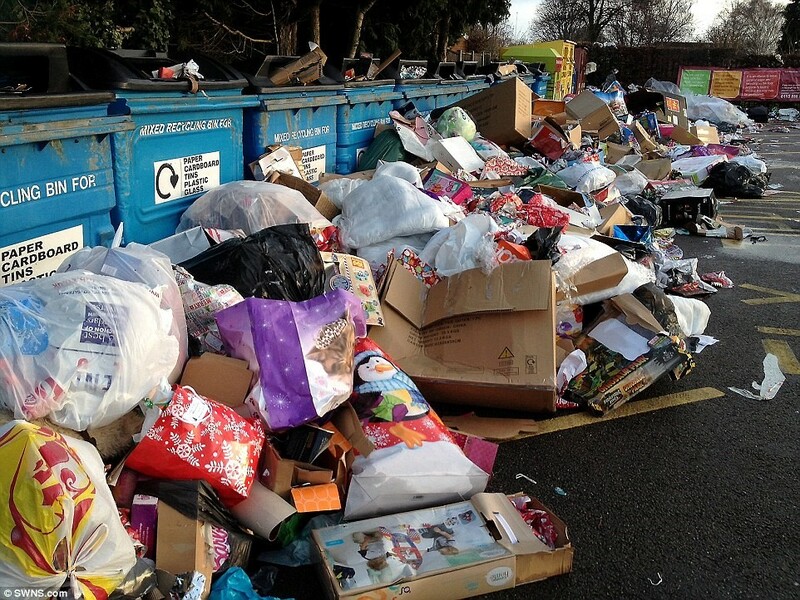 The holiday season is quickly approaching and with it comes an increase in commercial shipping, causing recycle bins to spill over with cardboard, plastic, paper and more. Similarly, at home, our holiday gifts often arrive in decorative boxes with festive wrapping, and while gift exchange should be personally fulfilling, it shouldn't fill your dumpster or trash can. We all know we should break down cardboard for recycling, yet when we’re in a rush it seems easier to just squish boxes into the recycle bin and if it doesn't exactly resemble a cube anymore, we hope it must be surely good enough. Not flattening cardboard results in recycling containers full of air, and it simply doesn't’ make economic -- or environmental -- sense to have empty recycling trucks driving around our City streets. Furthermore, un-flattened boxes can get wedged in your bin, leaving less room for recyclables until the next pickup; and who wants to deal with that during the busy holiday season? Un-flattened boxes can also clog recycling dumpsters and bins, making it harder for the recycling driver to empty, and can jam the recycling truck and the recycling center processing line. Fully flatten all cardboard boxes before putting in bin. Tape, labels and other items can be left on as long as the box is flat. No food, liquid or plastic bags. Keep the lid closed and the recyclables dry. No food contaminated cardboard such as pizza boxes that have grease. Ignore the numbers on plastic. Focus on shape: recycle plastic bottles, jugs, tubs and cups only. Reuse boxes when you can (for storage, future gift wrapping and more) – reuse is always better than recycling. Find more tips for recycling, organics collection, and garbage with the City of Bellevue & Republic Services Guide.